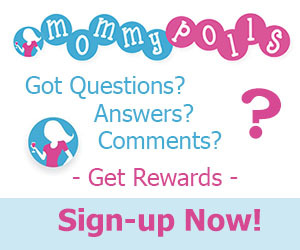 Beautiful Incentives: Mommy polls- Earn rewards asking questions and commenting! Mommy polls- Earn rewards asking questions and commenting! Parents, they want your advice and will reward you for it! Ask Questions, Answer Questions, and Comment on Fun Topics...and Earn Rewards! Mommy Polls wants to reward parents for their feedback. As they say: "Being open and honest with your questions and answers allows us to help other parents, which in turn, allows us to help you!"